The Mario & Rabbids crossover game, supposedly titled Mario + Rabbids Kingdom Battle, might just be the video game industry’s worst kept secret. There have been a ton of leaks on the game lately, and we can now add another one to the list. Japan Expo is one of the biggest video game, anime and Japanese culture conventions in the world. It takes place every July in Paris, and this year will be no exception. The convention’s official Twitter account posted a bunch of new info today, such as what kinds of panels and special events will take place, special guests that will be there etc. They also tweeted out the following: (translated from French) “Nintendo and Ubisoft exclusively present the video game Mario x Rabbids”. At this points, there seems to be little doubt that the game is real. Everyone act real surprised when it’s unveiled at E3, alright? WWG was the first site to have posted the full key art for Mario + Rabbids Kingdom Battle. Following up on that, a new article has been shared with additional details. Today’s information covers the game’s origins (including a potential start on Wii U), more game details, and possible amiibo. We’ve rounded up the tidbits below. You can also read the full article here. If you needed any further evidence that Mario + Rabbids Kingdom Battle exists, look no further than a classification from Brazil. The game was officially rated and added in a listing today. Ubisoft is also listed as its producer, further indicating that Nintendo will not be publishing. 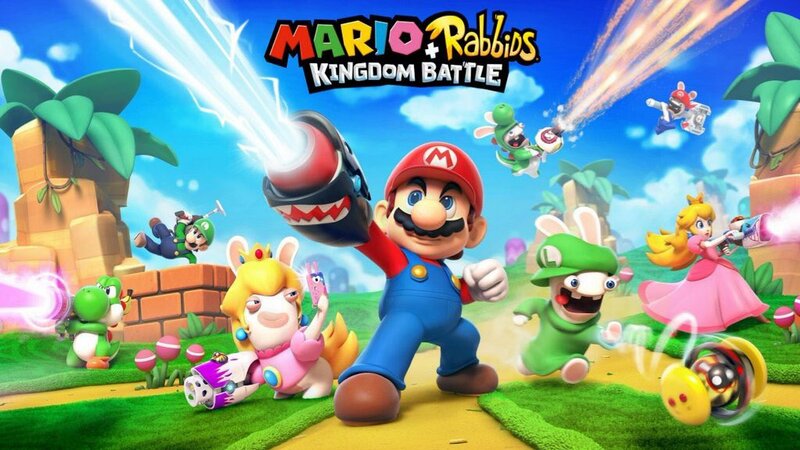 Original: The first piece of art has leaked from Ubisoft and Nintendo’s upcoming collaboration game for Switch, Mario + Rabbids Kingdom Battle. 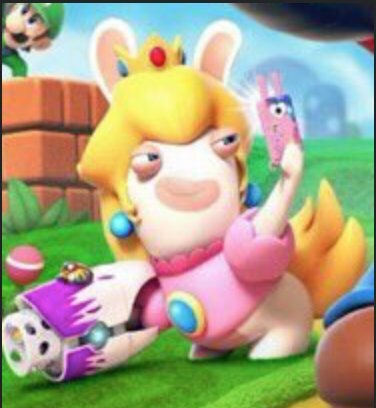 Twitter user FatalFlowey posted the image that shows one Rabbid wearing a Princess Peach outfit. Earlier this month, Kotaku reported that Mario + Rabbids Kingdom Battle would be launching in August or September. The site also mentioned having seen art featuring “Mario and crew wielding guns that shoot laser beams.” We can confirm that the image above is a small section of that asset. Mario + Rabbids Kingdom Battle is apparently being build with Ubisoft’s Snowdrop engine. The game is said to be including turn-based combat, two-player local co-op, and a “goofy sense of humor,” according to Kotaku’s article. 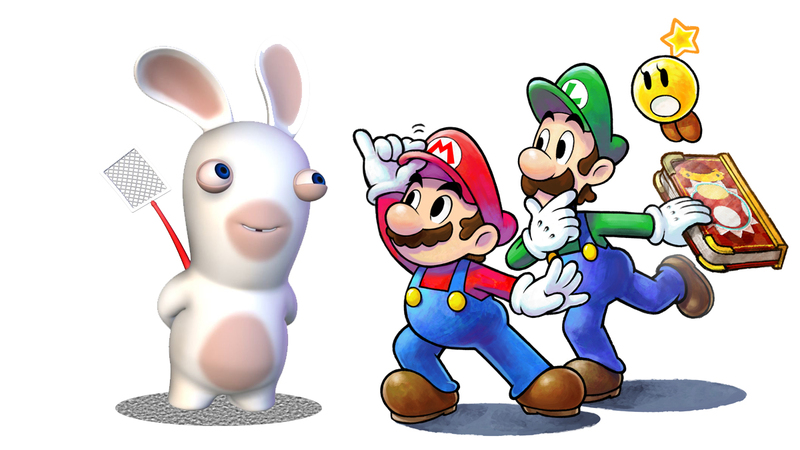 One Switch game rumor that has persisted for months is a new crossover between Mario and Ubisoft’s Rabbids. Kotaku has a follow up on the project today. Kotaku writes that Mario + Rabbids Kingdom Battle will be on Switch this August or September. It’s being developed by Ubisoft with the company’s Snowdrop engine. Based on Kotaku’s report, Mario + Rabbids Kingdom Battle features turn-based combat, two-player local co-op, and a “goofy sense of humor.” Playable characters include Mario, Luigi, Yoshi, Peach, and, four Rabbids dressed up as Mario, Luigi, Yoshi, and Peach. Kotaku writes about having gotten a look at a particular piece of art that “features Mario and crew wielding guns that shoot laser beams.” We can confirm having seen this as well, and it looks pretty ridiculous – yet amazing.